The growing importance of DNA in family history is highlighted in the March edition of The Greenwood Tree which will be mailed to members at the end of February. Editor Paul Radford previews the edition, which SDFHS members can already view or download from the Members’ Area of the Society’s website. 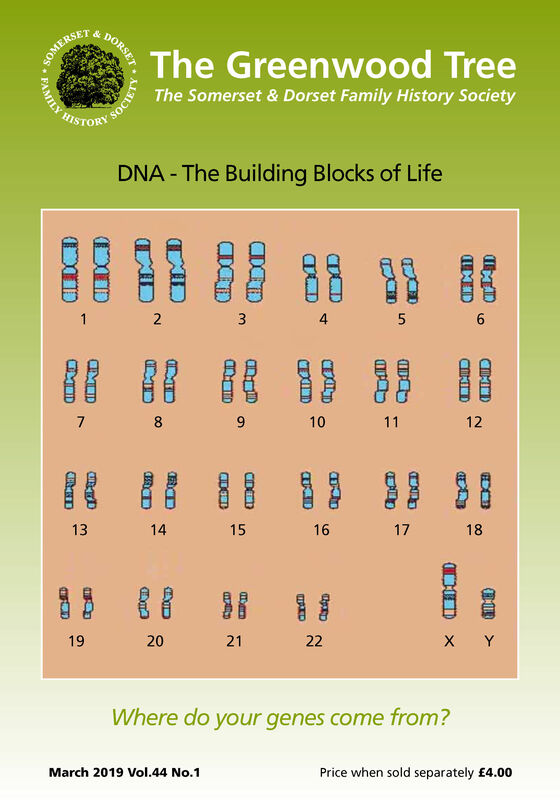 The front cover colour image shows the 23 inherited chromosomes in each cell of the human body, the building blocks of life. Inside are two main stories featuring the DNA theme. 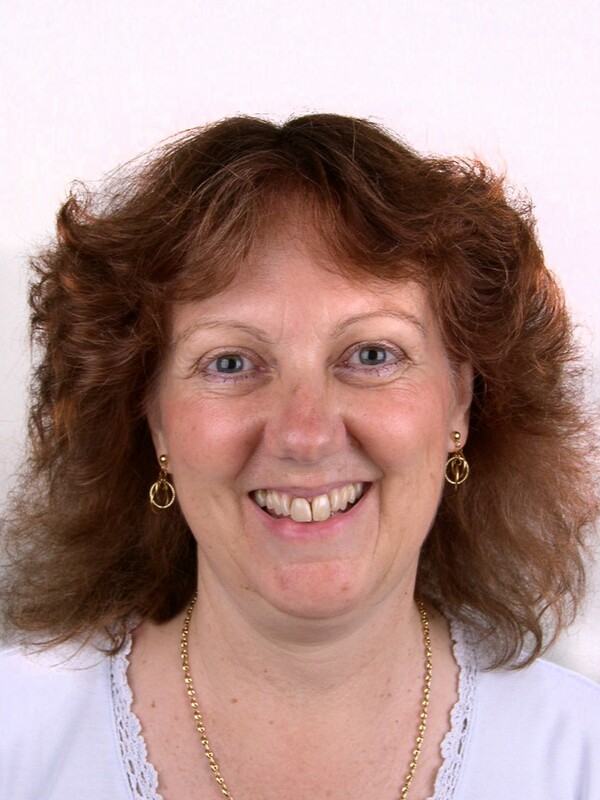 The first is a two-page interview with acknowledged expert in the field Debbie Kennett, an SDFHS member, who says you cannot be a serious genealogist if you do not use DNA testing as a resource in your research. In a wide-ranging interview, Debbie covers lots of ground, including the pros and cons of testing, what you can get out of it and which are the best companies to use if you want a test done. The second is a detailed account by member Paul Whatton of the techniques he used to track down the true identity of his grandfather who went under what turned out to be an alias of John Fenton. DNA played a crucial part in unravelling his real story and the name he had been born with. Kate Boyle explains the thoughts she had when deciding whether or not to take a test and a collection of readers tell of their own experiences with DNA testing, or of deciding they wanted nothing to do with it. 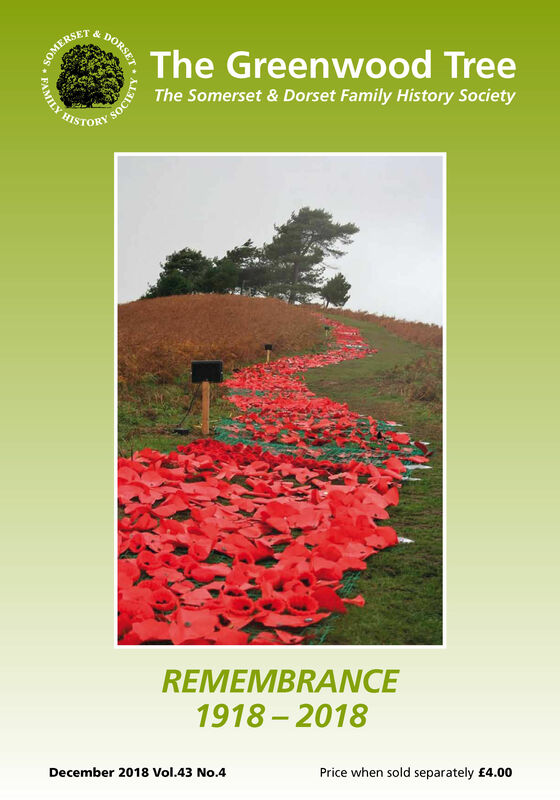 ‘Buried in the Archives’, our regular look at past issues of The Greenwood Tree, unearths an article about DNA written by Debbie Kennett in 2010 when the topic was much less in the public eye than it is now. It is not all DNA, of course. 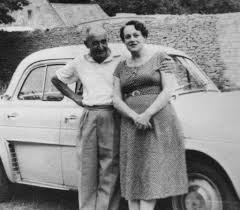 Patricia Spencer uncovers the mystery of what happened to Dorset-born Sarah Jane Brett whom she first wrote about in 2016. Sarah Jane was twice widowed and left with four children at the age of 25 before disappearing from view. Recent research in newspaper archives revealed a whole new life for her in South Africa. 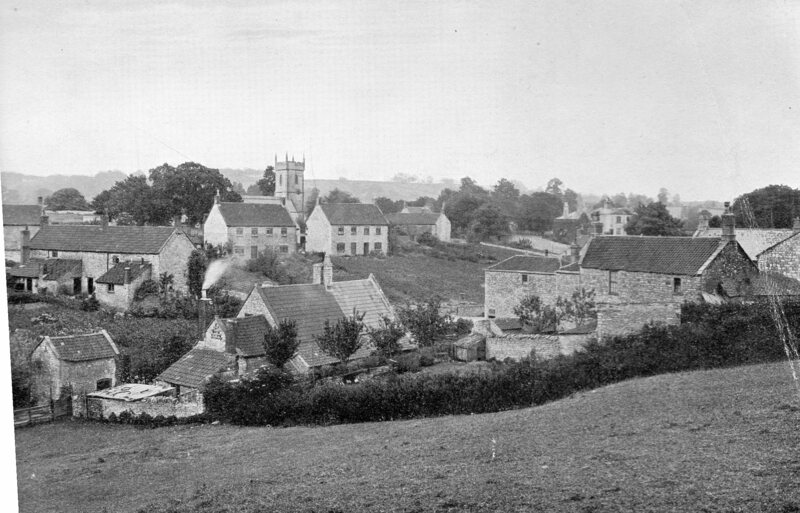 Bob Kelley tells the story of Charles Pitman, one of the Somerset railwaymen who went to work in Chesterfield in the 19th century, and Ken Isaac recounts the history of Dorset-born Ethel Gee and her role in the Portland Spy Ring. The March edition also contains regular features such as ‘Dorset Spotlight’, this time on Child Okeford, ‘What the Papers Said’, ‘Book Reviews’, ‘People, Places and Problems’ and a whole page of ‘Letters to the Editor’. The June 2019 edition will focus on weddings, one of the three essential parts of our BMD research. Readers’ contributions, with photographs and stories, are requested. Many of the trappings of our ‘traditional’ Christmas celebrations had their origins in the Victorian period which also saw the establishment and growth of the railway, so it is not perhaps surprising that festively decorated trains feature on a fair number of vintage Christmas cards. Today many railway lines, especially those run by local enthusiasts, have ‘Santa Specials’ where the great man joins excited children for a train ride, often pulled by a steam engine. In Sherborne we can tell it is almost Christmas when the Carol Service train arrives in town. 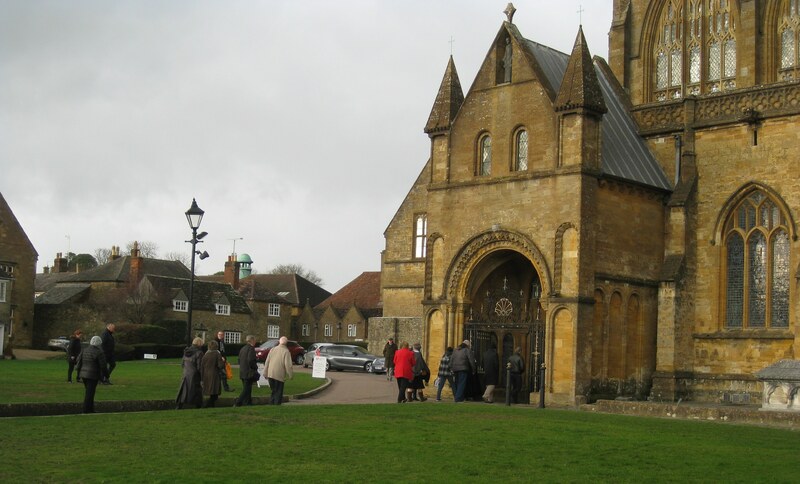 This an annual special excursion run by UK Railtours, which brings passengers from London Victoria for a Carol Service in Sherborne Abbey. 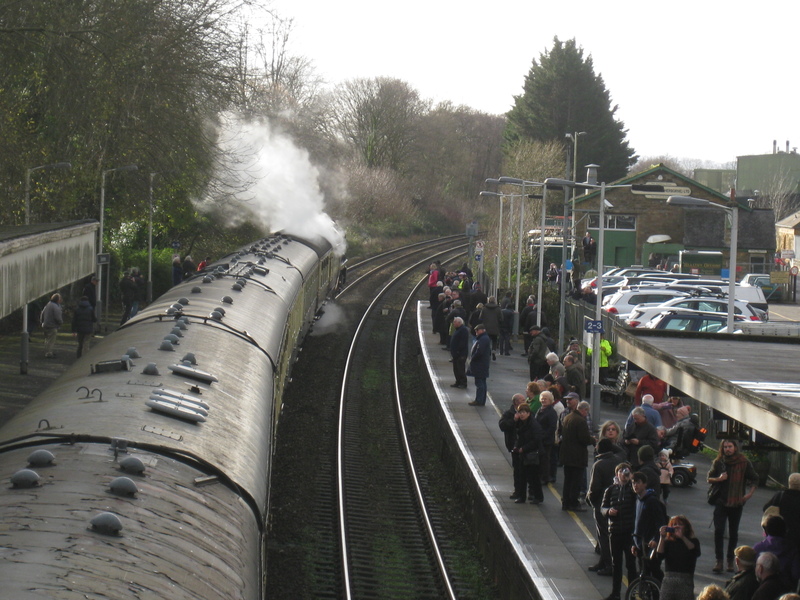 The train arrived about 1.15pm on Thursday 20 December and, as every year, local people went to the station, or flocked to bridges on the outskirts of the town, to welcome the train and take photographs. Many of those who gather are (like me) old enough to remember when steam trains were not a special occasion novelty, but it was pleasing to see so many younger people and, especially, small children who were perhaps seeing a ‘real train’ for the first time in their lives. There really is something magical about hearing the characteristic ‘puffing’ and loud whistle as a steam engine pulls slowly into a station, enveloped in clouds of steam. “Clan Line, no. 35028, is one of a class of 30 locomotives, originally built between 1941 and 1949, by the Southern Railway, to the design of O.V.S. Bullied, their chief engineer. It was one of the last to be completed, in December 1948, under the newly formed British Railways. Difficulties with the complex nature of the steamlined class resulted in them all being rebuilt between 1955 and 1959. 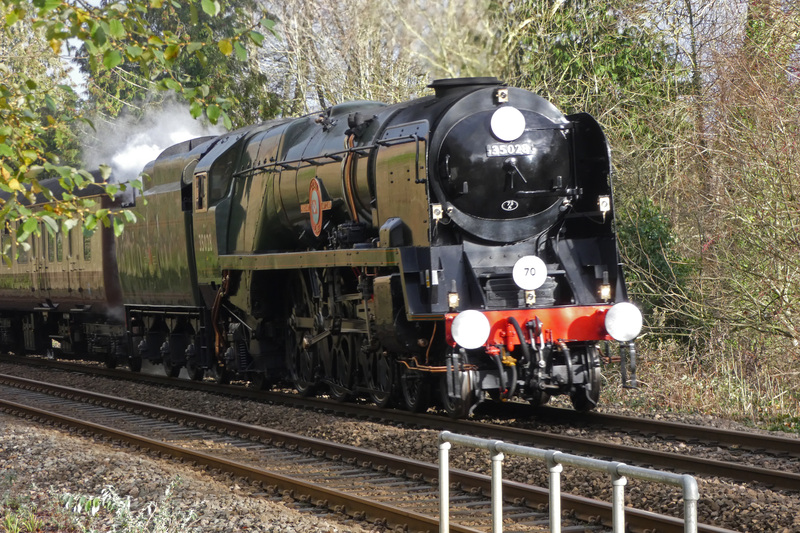 Clan Line was one of the last to be rebuilt in October 1959, when it emerged in the form we see it today. After the carol service, as it is getting dark, the passengers gather on Sherborne station for their return journey to London. 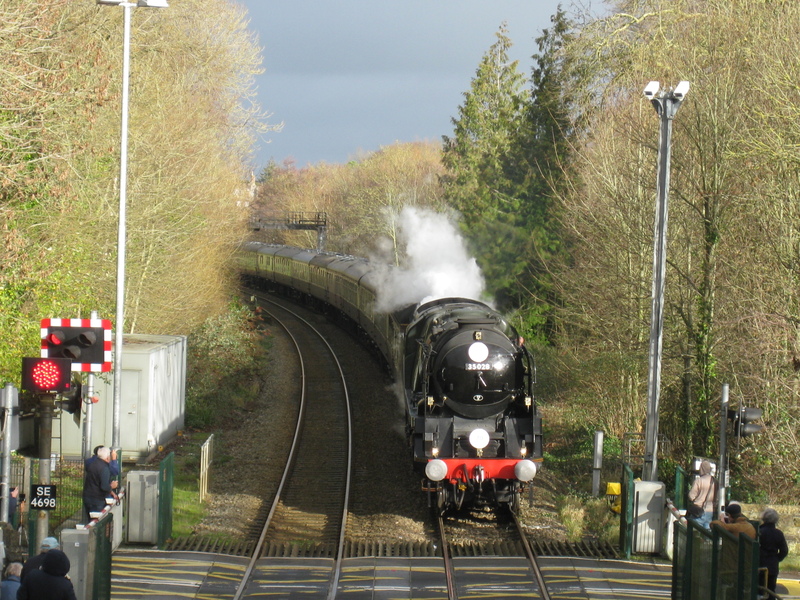 In 2012 Barbara Elsmore filmed the Carol Service train’s return from Yeovil Junction, hauled that year by the steam engine ‘Britannia’, and its departure for Victoria. A very Happy Christmas and best wishes for 2019, to all our members and friends, from everyone at the Somerset & Dorset Family History Society. As anyone interested in family history will know when facts come to light that enable a name to be added to a family tree it is not long before starting to wonder what this person might have looked like. Many of us will have photographs back to our grandparents and some are lucky to be able to go back to the great grandparents but beyond this it may well be much more difficult. It is often tricky too to travel out sideways as great uncles and aunts and all the associated cousins are likely to be very unknown quantities by now to a lot of us. When I started keeping my family tree electronically I really liked to be able to add a little thumbnail photo of identified relatives as this way they suddenly became a person rather than just a set of facts. Group wedding photos are a great source of faces and I was very fortunate in that my cousin came up with two important family wedding photos. The first of which was my paternal grandparents’ wedding in 1908. This photo contains 24 people. 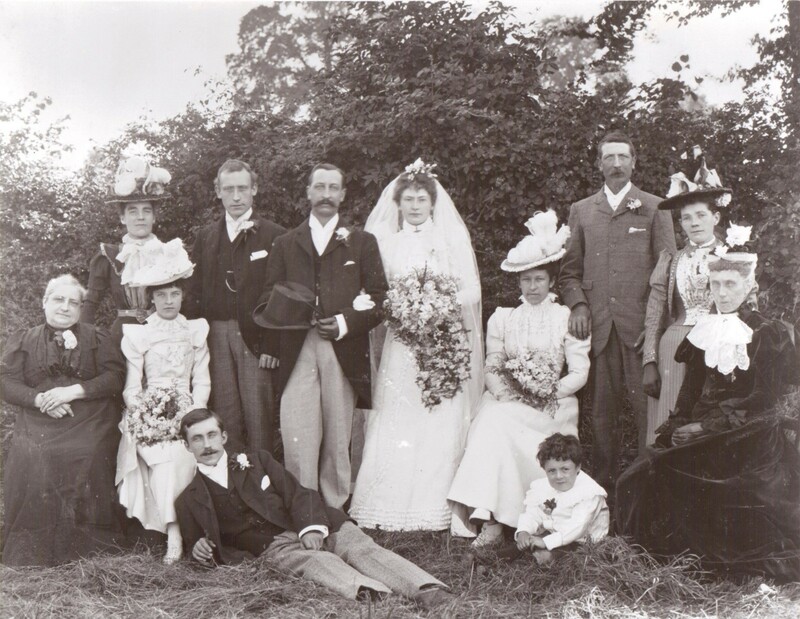 The second photo, with 32 people, is taken at my grandfather’s sister’s wedding in 1900. Initially on looking at the first photo only the bride and groom could be identified. On the older photo no one was known to us at all. By checking against information in my family tree over, it has to be admitted, some years gradually information has come to light. Cousins have been contacted, documentation and corroborating photographs have been found and slowly but surely identification of 53 faces out of a possible 56 wedding attendees has now been made. Some of the guests attended both weddings which was a great help. A personally exciting first set of great grandparents to be identified were found in the 1900 photo plus a second set in the 1908 photo and so a lot of little thumbnail photos could be added to the family tree. It seemed that my great grandparents would be as far back as I might hope to venture but that didn’t stop me hoping that something more might turn up and turn up it did! My cousin loaned me my great grandmother’s Victorian album of family photos, very few of which had names against them. I carefully removed them all from the album and put a pencilled number in the gap and a corresponding number on the back of each photograph and I scanned the front and back of every one. 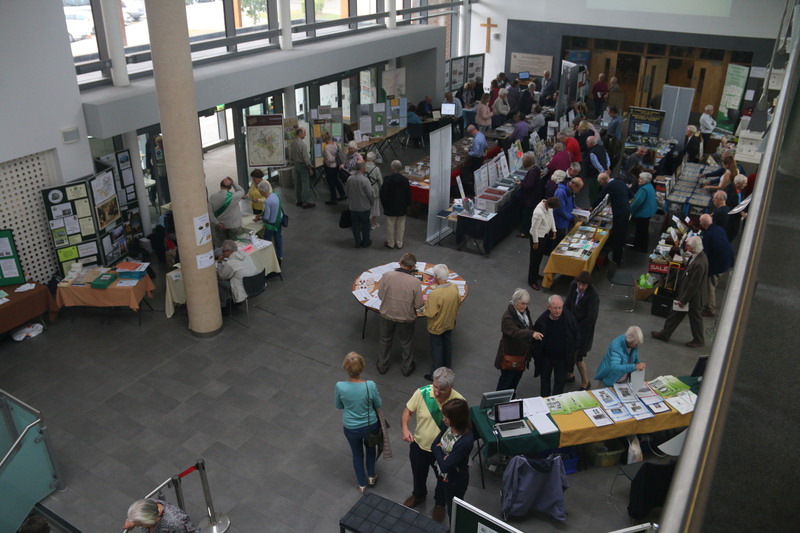 Because many of them were by local Somerset photographers I showed them to Robin Ansell and Allan Collier as they were compiling their new book on Somerset photographers at the time and I thought that there might have been something of interest to them among them. Photographs often had the name and address of the photographer on it somewhere and this can greatly help in identifying the age of an an old photo. Just like so many of these old surviving albums of photos, hardly any pencilled names were added to help with understanding just who would have been contained within the pages, other than my grandfather and my father adding a handful of clues in pencil at a much later date. We have reason to believe that great grandmother Fanny Payne began collecting photos when she was 21 in 1866. This does not mean, though, that this was the earliest date for any of the photos as it would also seem, once it was known a younger family member was starting out with a collection, older photos would appear from other family members to give the album a good start. Fanny had a not inconsiderable 166 pockets to fill. There was a pattern to their placement as often husbands were next to wives and families grouped together – other than this we had very little to go on. There were two couples pictured twice and Robin and Allan kindly gave me an estimated date for all four of the photos (two c.1865 and two c.1875). Allan and Robin have both been collecting and working with old photos for many years and the expertise they have gained means they can study various aspects of an old studio photo and give an accurate estimate of the date. This was very thrilling for me as because of this I was able to now know what my great, great grandparents, Solomon and Mary Collings, looked like and how they dressed. 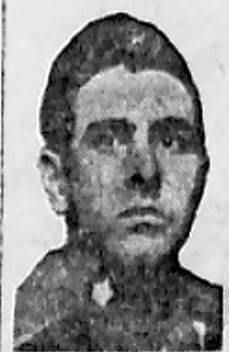 I was also able to confirm a family likeness to one in particular of Solomon’s three sons who had been picked out in the 1900 wedding photo. Coincidentally a third photo was taken at the same time and this proved to be only daughter Sarah who was still at home at this time but married a year later. Now that Robin and Allan’s book, Secure the Shadow: Somerset Photographers 1839-1939 compiled in conjunction with Phil Nichols, has been released it is possible to check that the photographer John Chaffin, who took the likenesses of my great grandparents back in 1865, did operate a photographic studio at Prairie Cottage in Yeovil at around the time my photo was taken, as an old advertisement has been found dated to 1869. This alone would be a great help in dating this photo but I was fortunate to have had the addition of Robin and Allan’s personal skills which date the photo more accurately to 1864/5. The book is full of information on nearly 800 photographers together with an extremely helpful CD containing biographies for them all. I checked out the biography of John Chaffin and found a mindboggling 74 page PDF which included all that could ever be found, I am sure, on the life and career of this man. Included are 51 photographs showing a wide variety of his work collected by the authors over the years. Overtime this book is going to prove very useful to me and to many others I am sure, as my knowledge increases and I want to know more about unidentified family photographs. Secure the shadow: Somerset Photographers 1839-1939 will be officially launched on Friday 28 September at 2:00pm at Yeovil Library and Robin, Allan and Phil will be on hand to assist you with perhaps that vital identification that will help you put a face to one of your former family members so do come along if you can and bring along some old photos you may have that have been puzzling you.